I had the honor of photographing some of the amazing food available at the restaurant, Aqua, owned by El Gaucho. 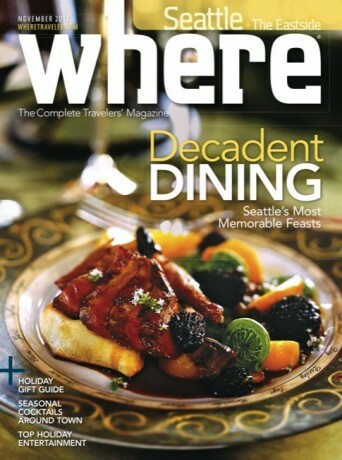 These photos are currently featured in the November 2012 issue of Seattle’s Where Magazine (page 10). 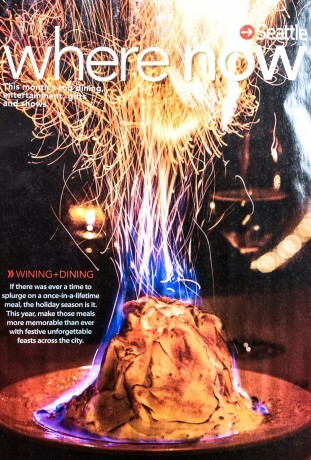 They offer an amazing baked Alaska, which they refer to as the Emerald City Volcano on their menu. They’ve named it such because of it’s resemblance to a volcano. As you can see from my photos it is served to you on fire! This delectable dessert includes double chocolate and bordeaux cherry ice cream and vanilla génoise. Aqua is located at Pier 70 in Seattle, WA. Make your reservations today!